A lovely family day out to London. 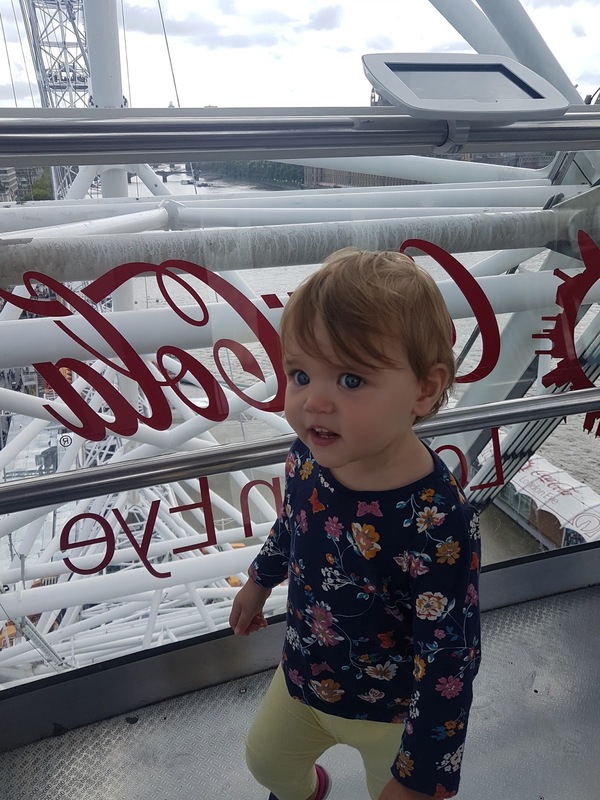 A short train ride, followed by a short walk around from Waterloo station to the London Aquarium and the London Eye. Plenty of snacks to entertain the little madam. 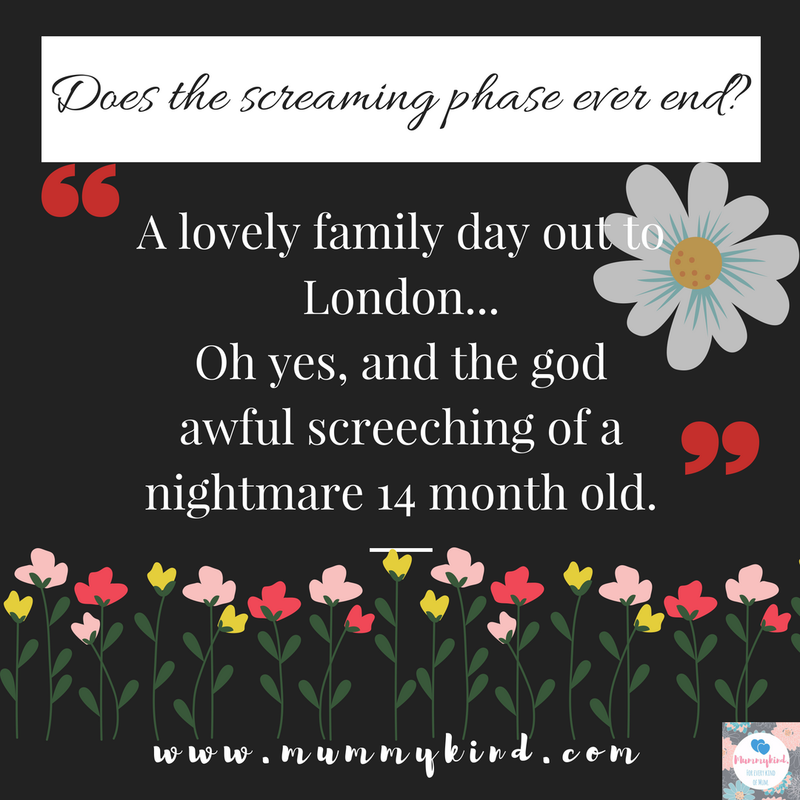 Oh yes, and the god awful screeching of a nightmare 14 month old. FOR NEARLY THE ENTIRE DAY. Minus 30 minutes of peace while she slept. Seriously, kid. Did I not do enough to bring you into this world? I think the screaming and crying I did then was enough for the both of us for the rest of our lives! The options seemed simple; ignore her, or pull my own hair out, strand by strand. Have you ever noticed how insanely difficult it is to ignore that sound that grates on you like no other? Today has been so emotionally draining. Every day like this I question if it’s my fault, if there is some reason why she behaves like that for me, as usually it is just me she plays up for. At least today her dad was there too… it made me feel like slightly less of a failure knowing that both he and I were trying to tell her off (to no avail). It’s pretty hard to keep your cool and act like an adult on these days though, when all you want to do is cry and scream back at them. I always envisage the advert where mum and toddler both have hysterical paddies in the middle of a supermarket, thinking one day soon that will be me. They push and push and push you until you break, don’t they? Please someone tell me that the end is in sight. These tantrums are getting the better of me and in all honesty I’m almost at that stage of being the mum in the supermarket kicking and screaming back. Am I going senile already? Or is this normal? Any words of advice for this tired mum? Rant done. Over and out. Previous Post Harriet’s Labour Story – There’s a Time and a Place to Die… This wasn’t it.